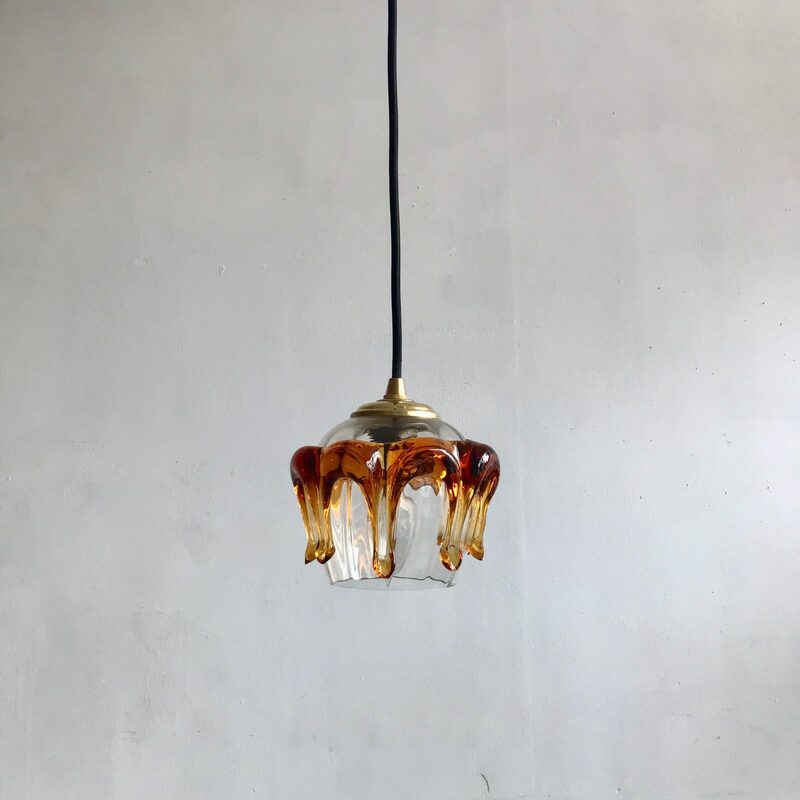 Vintage Italian Murano amber dripped glass light shades. Each shade has been made individually so there may be slight variations in the glass work. The shades are pictured fitted with polished brass caps or antique brass finish lamp holders. Available wired in either style. Multiples available.